Copyright © 2009-2019 The Classic Style. All rights reserved. As a user, you are authorized only to view, copy, print, and distribute documents on this Web site so long as (1) the document is used for informational purposes only, and (2) any copy of the document (or portion thereof) includes the following copyright notice: Copyright © 2009-2019 The Classic Style. All rights reserved. All items we sell are authentic. We take pride in the way we do business. We would like our clients to trust us and be free from any authentication doubts and worries with respect to hte items we sell. We ship items to locations all around the world by EMS from Japan or Royal Mail from the UK, it depends on the location of the item in question. The items are dispatched within 24 hours after clearance of payment fund by Paypal. Sometimes Paypal holds on to payments for a few days to clarify fund sources. If this happens, we cannot ship items until Paypal releases all outstanding funds to us. We apologize for any inconvenience. All sales are final, and we do not accept returns. We only sell authentic items. Only if items we sold are discovered as non-authentic, we will issue refunds. You must provide us with the evidence of non-authenticity by HermÃ¨s and Chanel boutiques. 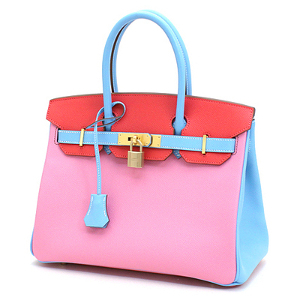 Please contact us if you have any doubts, we will guide you how to get authenticated by Hermes and Chanel boutiques. Please note that we try our best to display the true colours of each item in photos, however outputs may vary depending on PC monitors. We will not accept complaints due to difference in colours displayed on your monitor, which is out of my control. If you're not sure of colours and condition by looking at photos and reading my descriptions, please contact me before purchasing.